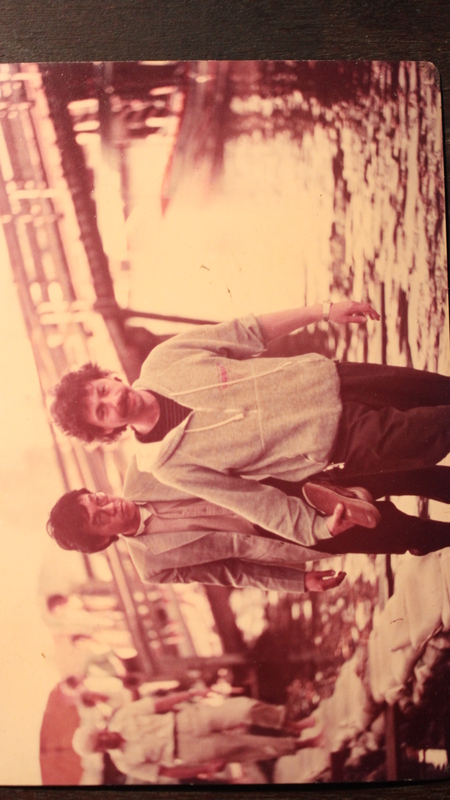 Filed under KIM GOOI Freelance Journalist, Bangkok (TH), Penang "Heritage"
The story ‘Dream Assignment’ talks about world renowned British documentary maker Gerry Troyna and the would-be blockbuster on Cambodia, Princess Diana and Earl Spencer. 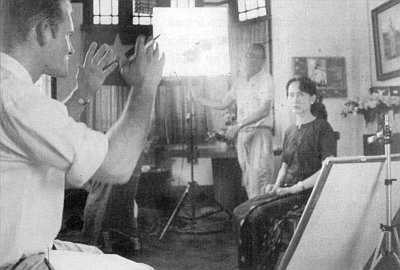 Though the documentary was aborted just after a fortnight of location scouting and research in Cambodia, we were all fully paid for an estimated three months work, according to the contract. We were disappointed but no one complained. There was an attempt to save the documentary with a replacement for Earl Spencer (brother of Princess Diana) who withdrew at the 11th hour. 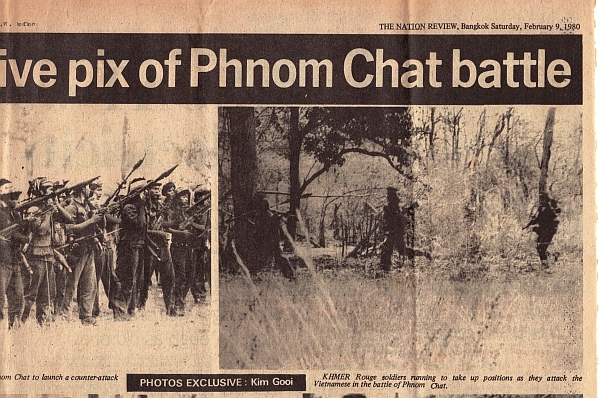 Personal safety and the erroneously held view that the Khmer Rouge were still a threat in the countryside and the negative report of the British ambassador in Phnom Penh, I thought were the reasons for the last minute withdrawal. Troyna said there was still a chance the documentary could be salvaged with a famous star or well-known personality to replace the Earl. 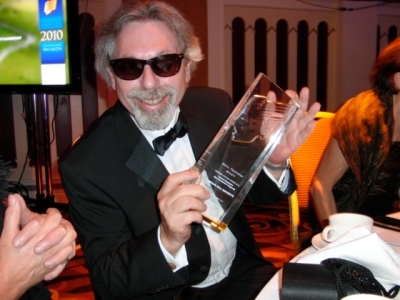 A few names were mentioned: – Vietnam War photographer Tim Page; award-winning journalist Jon Swain of Killing Fields fame; and movie star comedian Mr Bean. Of the three, everybody agreed that it would be great if we could have Mr Bean. But alas! The Earl proved to be irreplaceable. Without him the shine would be lost; Troyna could not persuade the financial backers to accept a replacement. The American TV made it clear that without Earl Spencer, they would withdraw. BBC was prepared to suffer the loss incurred so far. The project was scrapped. Most hacks or documentary buffs will tell you the BBC or the British are the best as far as documentaries are concerned. Why not the French, Germans, or Americans? I guess it has something to do with tradition, they really spend a lot of time on research and the support and resources given to the producer/director are enormous. Spending a year or two doing a documentary is not uncommon. 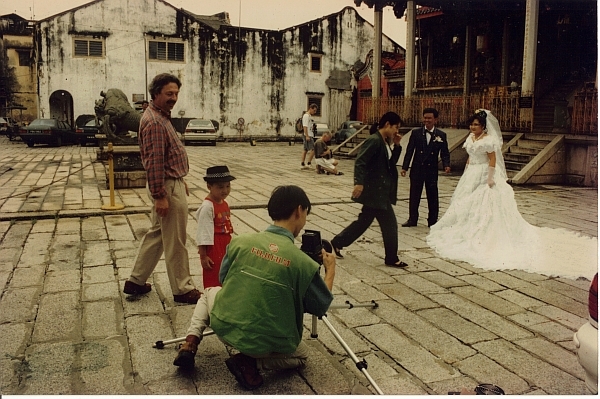 In October 1996 I managed to get Troyna to Penang to give free consultation to the State Government about making a documentary to promote the island. At that time I was told by author Khoo Salma that the state government was engaging an American writer, Sue Gross to write a movie script on Captain Francis Light (the founder of Penang) and his mistress Martina Rozelle with the naive hope that Hollywood would be enticed to make a movie. Thus promoting the state to the whole wide world. I was shown a contract drawn up by Gross, basically binding the State of Penang to pay her an astronomical amount of money for writing the script, something to the tune of US$70,000. And if it were accepted by Hollywood, she would be paid a further percentage of the movie production cost. Salma would be engaged by her to help her in research. I sounded the alarm bell to Salma; this is not the way to do it. Salma managed to halt the contract signing and convinced the State Exco member to consult Troyna who happened to be in Bangkok at that time. He agreed to come without any fee, the State Government just had to pay the air ticket and for two days accommodation which came to about £300. An October day in 1996 Troyna, Salma, and I happily trooped into the Exco’s (she is the Penang state minister for tourism) office at Komtar. She said the Penang state government had made several documentaries to promote the island but they could never get the BBC, American, European or Australian TV channels to broadcast. Thus the idea of trying Hollywood now, the Exco woman said. Of course no self-respecting TV channel anywhere in the world would broadcast any government propaganda or promotional material, let alone UK and USA who were very strict on such matters, retorted Troyna. As for Hollywood movie, it was out of question – firstly it is too costly, the stars have to be big names (for the movie to work) and they are costly and temperamental. You would have no editorial control. What is politically correct would be a box office flop and what turns out to be a blockbuster could be politically disastrous for Penang and Malaysia. Then what was the solution? Troyna said, a docu-drama – which is part documentary and part drama where historical scenes would be reenacted by popular local actors. And it should be a joint production with the BBC with the State footing 49 percent of the production cost and the other borne by the BBC. The BBC would in turn sell part of their shares to the American and Australian TVs. But the BBC will have editorial control and Penang would be assured that the docu-drama would be broadcast in three continents. The exco woman was ecstatic! It must have been the first time such sound information were heard by her. “WE will do that,” exclaimed the woman. “In the meantime would you draw up a working paper and send us some samples of the documentaries you have done.” These were duly done. Salma and I were very happy at the turnout. We would be in the pre-production and production team. It would mean at least six months of work. For me it would mean working in my hometown for the first time – making a TV documentary with one of the best documentary makers in the world. I flew back to Bangkok and met up with Troyna a week later. Feeling good I did what I thought was the right thing to do. I reimbursed Troyna the 300 pounds out of my own pocket, thinking that i would get it back from the Penang Government in no time. Alas! sad to say it was not to be. To cut the story short after a whole year of talking ‘crap and bull’ from the Exco Woman (She even sent a team to meet up with Troyna’s production manager in London), it came to nothing. The incredible and shocking thing is that the Government can pretend to talk to you and acting (play) seriously while nothing is being done. The contract was never signed, the initial US$20,000 (agreed upon) to begin research and preproduction never came. Finally after more than 14 months I went up Penang Hill with Salma and met face to face with the Exco Woman at a holiday bungalow. To defuse the embarrassment, she pretended to be surprised that i had not been reimbursed, took out a golden service Citibank VIP cheque and quickly wrote out the payment. On it was written “VIP service, no waiting”. Impressive? Too late, she can run but cannot hide! The hard lesson I learnt – many politicians are a sly and corrupt lot. [As far as rebellions go, Myanmar (Burma) is unsurpassed in the world. Jokes aside, the country could easily claim the title ‘Mother of Most Rebellions’. It is the country with the highest number of, and longest on-going rebellions. Apart from all that they also have ethnic conflicts. I would recommend Guinness World Records make an entry for the country]. Since its independence from Britain in 1948, Burma has been beset by countless rebellions. 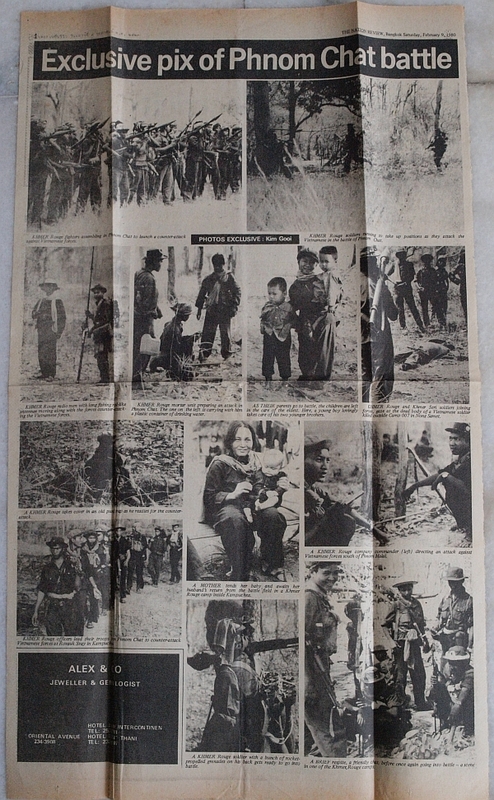 Ethnic groups like the Karen, Shan (Tai or Thai), Kachin, Karenni, Chin, Mon, Wa, Arakan Muslim (Rohinga), and the Burmese Communist Party took up arms against the Rangoon government of the majority ethnic Burmans who are of Tibetan stock. The fire of rebellion is still burning today despite a quasi peace treaty which has been signed with some groups in recent years. Despite all the atrocities and oppression committed by the Burmese army against the minorities over half a century, Burma has been ignored for a long time by the world media. 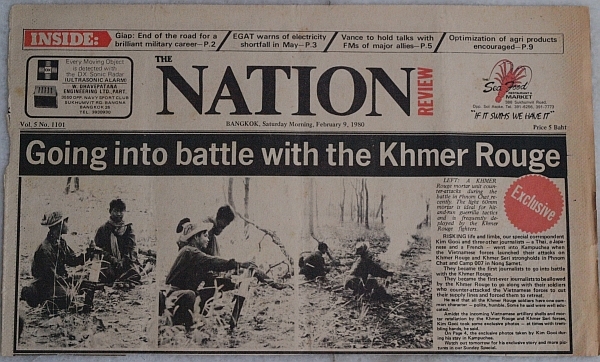 It is also due to the military junta shutting the country to outsiders. Not until the emergence of Aung San Suu Kyi and the August 1988 massacre of pro democracy protesters in the streets of Rangoon where thousands were mowed down in cold blood, did the world take notice of the country. Suu Kyi or ‘the Lady’ has become the Burmese icon of pro democracy movement in the country. All day long, the huge crowd of newsmen beseiging the Lady's house in Rangoon. She is the daughter of slain independence hero Aung San and had spent most of her life in the West. Her father and the entire Cabinet were gunned down during a cabinet meeting on the eve of independence. Oxford-trained and married to the late English scholar, Michael Aris, Suu Kyi became the symbol against the oppressive junta and an instant hero of the western press. Beautiful, charming and articulate in impeccable English, she is the embodiment of the West’s perception of courage and fearless sacrifice, risking all for freedom and democracy. She is, what many would say, the Burmese counterpart of South Africa’s Nelson Mandela. In 1994 after five years of house arrest in her lakeside bungalow, she was released. (Today she is in for the 3rd time since being taken into custody in 2003). The media was in a frenzy. There was a mad rush to Rangoon to interview her. Bangkok is the gateway and nearest air-hub to Rangoon, foreign correspondents based there, had been anticipating and waiting for such eventuality. 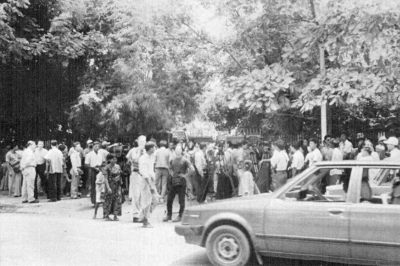 On the morning after news of her release broke out, the Who’s Who of Burma watchers and members of the news media were queuing at the Burmese embassy for visas. Bertil Litner (author and Burmese expert) was turned away. He said he was not surprised as he half-expected it, because he had been black-listed by the government. After securing the journalist visa from the embassy, I was onboard Burma Airways plane with ABC Australia and Evan Williams, heading for Rangoon. Making up the team were cameraman Derek Williams and Mark Laban, each with a Betacam and tons of video and lighting equipment. I was told that Evan had spoken to Suu Kyi on the phone and she had given him assurance that ABC would be the first to interview her. It would be a scoop of sort, beating the rest of the world to it. The ecstatic Evan had hired two cameramen to shoot simultaneously during the interview instead of the usual practice where one camera would suffice and you shoot the cut-away after the interview. I was hired to handle the sound equipment and recording. No expenses were spared to ensure the best production possible. Among tons of equipment were two 500-watt Photoflood lights that would bathe any dimly lit room in artificial daylight. 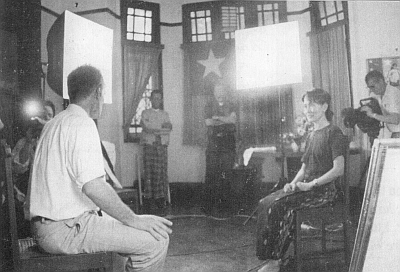 Compared to TV crews like CNN, BBC, ABC News, the Japanese and European networks, (with single or two-men crew) scampering to Rangoon, we were like a Hollywood production. Burma Airways is now managed by Singapore Airlines and no longer drab and spartan like its ‘socialist’ days. We were in first class and the champagne flowed. The charming stewardess left a whole bottle of red wine for cameraman Laban and me to savour. The Traders Hotel was where most of the media stayed. It too is Singapore-managed, but owned by infamous Golden Triangle opium warlord turned entrepreneur Loh Hsing Han. The hotel restaurant and coffee house was noisy and loud, as the whole Bangkok foreign and local press corp and the world media had descended upon it. As is usually the case, there were plenty of good cheers and comaraderie as old friends meet. Toasts and drinks were aplenty as most were on expense account. Time to catch up and find out what the others were up to, and share a joke or two. That night our team must have slept well and contented, secured in the fact that tomorrow we would beat all the other newsmen and be the first to broadcast the story and pictures to the world. To our horror, or more so Evan Williams’, a lone BBC correspondent had flown in from London with a tiny Video 8 camera and beat us to the interview. As we were ushered in to meet the Lady after getting through the huge crowd outside her house, we were told the BBC had just left. We realized prestige and name mattered. Aung San Suu Kyi could not resist the name and prestige of BBC London to carry her story to the world. 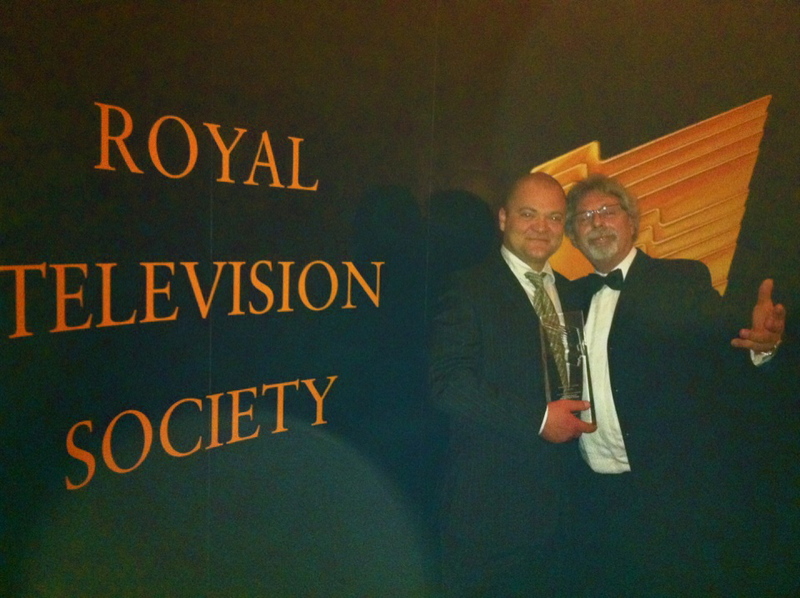 At the last minute, ABC Australia was delegated the second place. To make matters worse, it took time to set up all the lighting equipment and sound recording gadgets. And horror of horrors, midway through the interview the whole house was plunged into darkness as the electrical fuse box tripped. The two 500-watt lamps were too powerful for the household electric supply. Final tip before action - Evan Williams left, and Suu Kyi. In the back is Derek Williams adjusting the special light. It happened three times before the interview was finally concluded to the relief of the Lady’s many helpers and bodyguards and the large crowd of journalists waiting for their turn. A lot of time was wasted. Needless to say we earned the ire of the hordes of impatient newsmen. 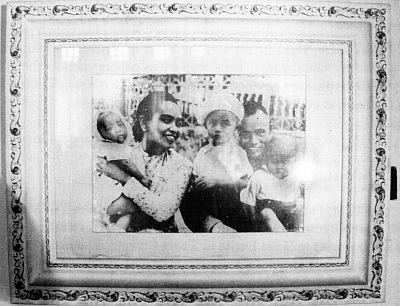 A rare family picture of Aung San, wife and the 3 children before he was assassinated together with his entire cabinet. In terms of camera work and sound quality, we might have had the best pictures, lighting and sound but when it comes to news broadcasting, speed matters most. Camera work and sound need not be top rate; as long as it is broadcast quality, like that of the tiny Video 8, it is acceptable. A lone one-man-band ‘parachuted’ in out of nowhere with a simple, small camera and beat a group of guys with fancy and expensive gear. 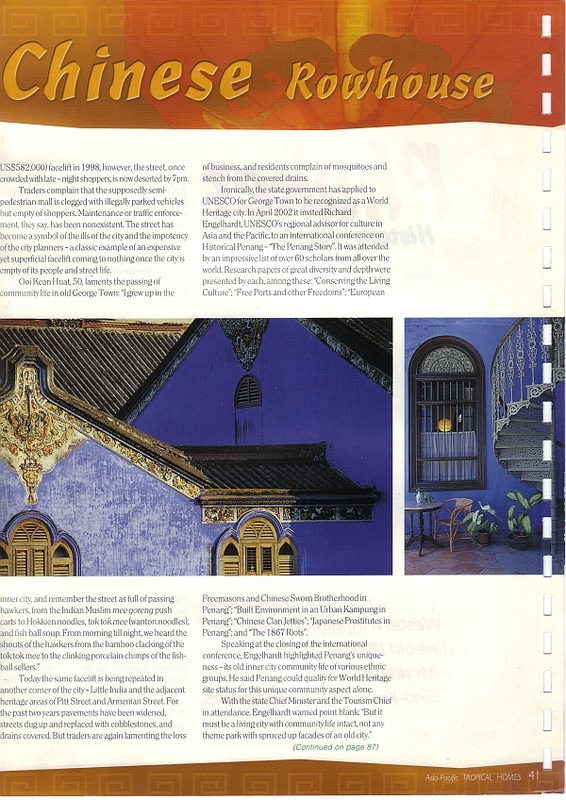 Author’s note: In May 1999 Time photographer Peter Charlesworth and I were sent to cover this special story for Life Magazine. I also took some pictures for my own collection. For some reason the story was shelved. This is the original version of the story. The New Life Center (NLC) in Chiang Mai is probably the biggest and most successful rehabilitation center for child prostitutes in the world. It opened in 1987 with 18 girls, one house and a staff of five. Today there are over 200 girls in four houses, 23 staff and a school in Chiang Rai with 100 odd girls. Though not widely known, it is credited to be the first organization to initiate the rescue of child prostitutes. It also has the best rehabilitation program in Thailand. “The pimps would tell their parents that they could get a job for the girls in the town and end up selling the girls to the brothels,” she said. “They have been tricked, sold, put in brothels where they are locked up against their will. They were raped, five, twenty times a day,” the Reverend added. “The success rate is remarkable. None of the girls has reverted to prostitution if they had been there over a year”, she said. “Quite honestly I need someone to come and do a Ph.D thesis on why we do not see aberrant behaviors with the girls,” the Reverend enthused. 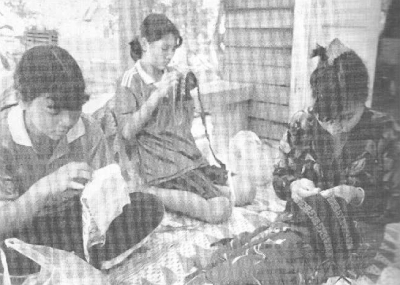 The tribal people in northern Thailand are marginalized and most exploited in the country. Many of the parents are drug addicts. They will do anything to support their habits, even selling their daughters. Often sending their daughters to work and not knowing what they do and sacrificing them for their drug habit. Because of their simplicity and trustworthiness they are often taken advantage of by unscrupulous pimps who trick, cheat and even kidnap their daughters and sell them to brothels. Many people are dying of aids in the hills. “We have parents dying of aids. We have HIV positive girls. We don’t know what is the percentage now, but 8 or 9 years ago the rate of HIV infection among the prostitutes was 70 to 80 percent. “In those days we get girls rescued from brothels but very few now because the brothels are hidden or gone underground and the police are not rescuing child prostitutes like they used to do before,” Lauran said sadly. “The mere fact that the brothels are driven underground, disguised as karaoke joints, bars and restaurants and the child prostitutes are hidden way, makes the situation worse and dangerous for the girls. They are hidden away and nobody is rescuing them,” she added. “The government has made a 180 degree about turn from declaring eradication of child prostitutes as the cornerstone of their national policy in 1994 to non-cooperation with NGOs bent on rescuing child prostitutes,” said an official of the Center for the Protection of Children’s Rights in Bangkok. One of the luckiest is Mei Muilay, 21, an Akha girl sold into prostitution at the age of 10. She came out of a hell-hole, rehabilitated, got an education, got married and is now counseling others. This is her story. “I really don’t know where is my home and I cannot remember my father and mother. When I was very young my father died and my mother remarried. I lived with her and my stepfather until I was six when my mother also died. After that my stepfather sent me to live with many people, shifting me from one place to another, always working and working, washing dishes, taking care of children and various other things. My stepfather smoked opium. “After three months there was a police raid and I was rescued together with many other girls. I told the police I do not know where is home and they brought me to the Center for the Protection of Children’s Rights (CPCR) in Bangkok where I stayed for one year. Eventually I was brought up to New Life Center in Chiang Mai. I was about twelve. “Reverend Lauran is more than a mother. She is both a mother and father to me. She taught me how to read and write by sending me to school and also taught me about God, and showed me there are good people in the world. My life has been changed from a hell-hole to a completely new world. “In 1998 I enrolled in the Bible College in Payao (south of Chiang Mai). I want to teach people about God and help people in trouble because I have been through all these sufferings.” At the Bible College, Mei met her future husband, an ex-heroin addict and they got married on May 29, 1999. The young groom, Nopadol Prukpanasan, 21, was a heroin addict for four years. He came from a well-to-do Chinese family in Bangkok. He said that he went to the Presbyterian Rehabilitation Center near Chiang Mai to cure his drug addiction. While there he also learned about Christianity and Jesus Christ, he said. “On Christmas Day 1996 I became a Christian when I was fully cured and went on to enroll at the Bible College to further my studies,” he said cheerfully. That’s where he met Mei, his future wife, he added. The young couple is now working at the Drug Rehabilitation Center and plan to further their studies on social works to help others. 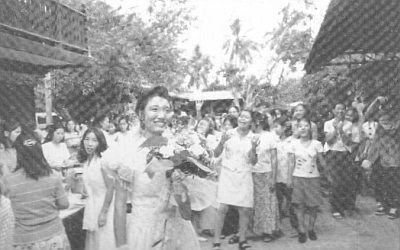 The better part of Chiang Mai’s missionary community and 300 odd tribal girls gathered at NLC’s spacious compound to witness and celebrate the memorable wedding. I doubt Hollywood could come out with a better script for a ‘Love Story’!